A disaster comes unannounced. There will be no call before it arrives. It will not give you a couple of days to collect yourself. It will not wait until you make a list of essential purchases and go shopping. There’s no reason to be afraid, though. The purpose of this post is not to scare you. Quite the opposite, in fact. No need to panic or to feel dread every minute of your life. We just should be ready for anything. In the event of a disaster, our primary goal will be to protect our families and save our lives. Survival backpacks or bug-out bags are designed to help a person survive for at least seventy-two hours. In other words, you will have three days to reach home, a hospital or another safe location and you will have all that you need to survive – water, food, clothes, tools, first aid kit – in this bag. 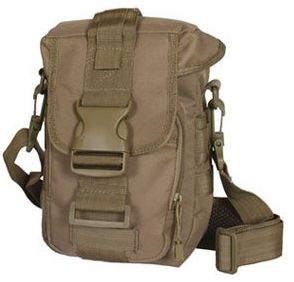 Bug-out bags and tactical backpacks are used mostly by travelers, hikers, and preppers. Survival bags are designed to be utilized by those who live in earthquake zones, active volcanic areas and other places with increased risk of natural disasters. 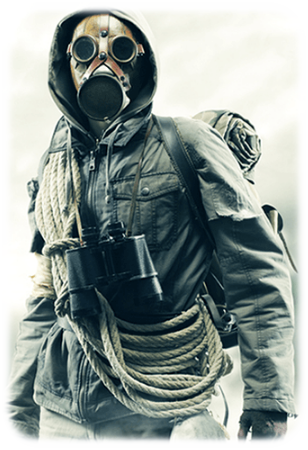 Though force majeure is not the only reason to keep a bug-out bag ready. Unfortunately, such uncontrollable events as a strike or terrorist attack should not be discounted. What is a Get Home Bag? A get-home bag is one of the types of emergency or survival bags. It contains all that you need for getting home from work or school. They are rather small and compact compared to a bug-out bag. If one works far away from home, they should keep such a bag in a truck. Its contents could of help when driving home in bad weather. Ice and snow drifting often make roads impassable. An urban get-home bag is also a type of get-home bag. This is a bag that helps to survive in the city. This kind of bag is often used by those who commute by bicycle. Such a bag can be attached to a bike with ease. Please note, some manufacturers offer bug-out bags without survival gear. Others make bags with a survival kit for two or four people. The price might be variable, of course. More items make a higher price. Never mind whether you have a bug-out bag or a get-home bag, the mission will be accomplished. A few tips concerning bug-out bags. A bug-out bag should be made of durable, water-resistant material. 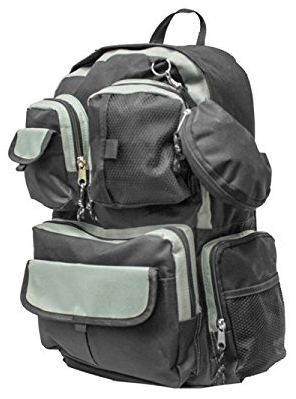 A bug-out bag backpack is desirable for keeping your hands free. Besides, it is very comfortable to carry for several hours without getting a back pain. A bug-out bag should have a well-padded main compartment. Numerous pockets allow organizing your gear perfectly. A waterproof pocket for documents, money and other essentials is welcome. Water, calorie bars, first aid kit, blankets, a knife and a flashlight are the most vital items that must be present in any survival bag. Sandpiper of California has been producing quality travel bags and backpacks for more than thirty-five years. This bag is made of sturdy water-resistant material. It will protect all of your emergency supplies from bad weather very well. It is full of small pockets and sections for perfect organization of your essentials. All zippers are durable. The exterior of the bug-out bag is rugged. The main compartment is large. Moreover, it is expandable. You can accommodate many necessary things there. This bag is versatile and could be used for travel and hiking, too. The bag comes in black, brown, camo, and foliage green colors. The black bag is sold most. However, the green one is more comfortable when you need to get something out of the bag in dim light. The waistband is well-padded. It will ensure comfortable carrying. 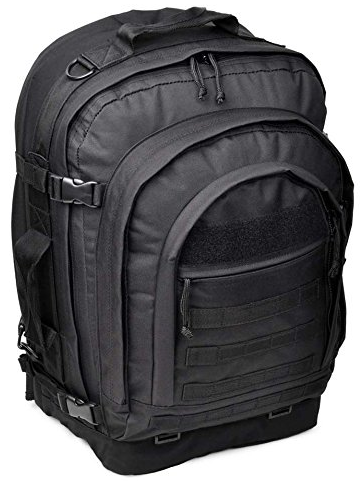 This Bugout Backpack is one of the best bug-out bag backpacks. It sounds like a tongue twister. But it’s really true. Any sort of natural disaster will not catch you by surprise if you have a Get Home Bag by Prepper’s Favorite. The bag is lightweight. It comes with a first aid kit, which consists of fifty-seven items. All of them are high quality. It includes first aid items, a flashlight, food rations, tools, snap lights, a sleeping bag, an emergency blanket, a rain poncho, some towels and many other emergency supplies. The main compartment is roomy and has a drawstring. This bag is one of the most essential things you should always keep in your truck. Especially, if you work rather far away from your home. You can put your personal essentials instead of some items in the kit. For example, a flannel shirt or a couple pairs of stocks. Carrying it is easy thanks to its shoulder strap and compact design. 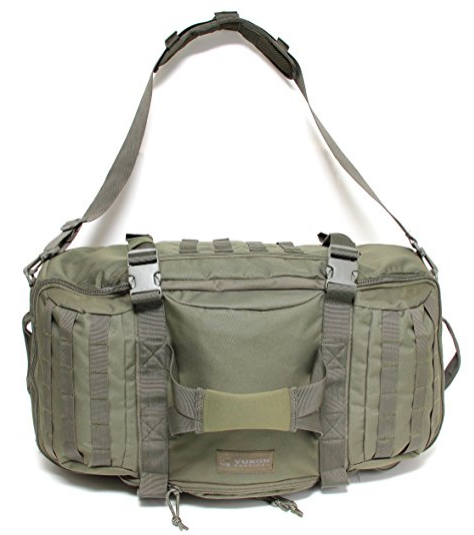 This bag by Prepper’s Favorite could be called the best get-home bag. There are two designs of this bug-out bag: for two and for four people. This urban survival bug-out kit for two comes with two backpacks, each with a waterproof document container. It allows you to keep all of your documents secure. The first aid kit consists of sixty-one items, including band-aids, medical gloves, dressing, cotton tip applicators, adhesive bandage, tweezers, and scissors. There are also personal hygiene items with two toothbrushes, toothpaste, a piece of soap, a bottle of shampoo and a mini sewing kit inside the bag. The Urban Survival Bug Out Bag is staffed with two light sticks and an AM/FM flashlight charger. Moreover, you can find there a tube tent for two people, two ponchos, and a couple of sleeping bags. Are food and water available? Surely! There are a few calorie bars and small containers with purified drinking water. Some essential tools such as duck tapes, a whistle with a compass and a mirror, and a few knives are at your disposal. The bag will serve you for a long time. This bag cannot help you avoid a disaster. However, it can help you to survive it. That is why it could be named as the best survival backpack. This emergency survival bag is designed for travel and hiking. It is also meant to be stored in a car. You can take it for a trip or a weekend getaway. There are plenty of reasons for keeping such a kit at home. The bag is very compact and lightweight and could be taken anywhere. By the way, it can be attached to a bicycle saddle or to a bug-out backpack. Despite its dimensions, the emergency bag accommodates about a hundred essential items. The Small First Aid Kit is made of six-hundred denier polyester. Besides, the bag is water resistant. The sleeves of the bag are organized perfectly. Each sleeve has its own title. It helps to grab your necessary things very quickly and without panicking. You can quickly check if the bag’s sleeves are empty or not. As you see, this emergency survival bag is rather versatile and can be useful in any circumstances. 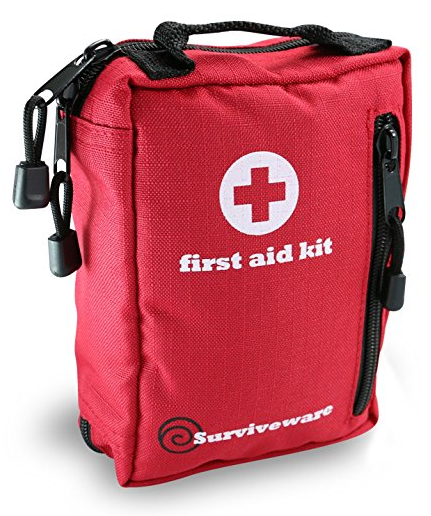 Consequently, this small first aid kit is one of the best emergency kits. This bag is quite roomy. It could accommodate all of your essentials. By the way, Bug-Out Bag by Yukon Outfitters comes without a first aid kit. Emergency kit, food and water, warm clothes, sleeping bags, tools and other stuff you need to survive for seventy-two hours, all of that must be bought separately. The bag is made of six-hundred denier polyester. The handle is made from neoprene. The bag can be carried over the shoulder thanks to its adjustable strap. Also, one can carry it as a duffle bag or a backpack. The exterior of the bag has dozens of slots where the most essential items can be placed. When the most of the essentials are located in sight, it is easy to find anything you need and to use it immediately. All of zippers and snap buckles are sturdy. The main compartment is well-padded. It has two flexible dividers and two mesh pockets at the top. There are two pockets on the either side of this bug-out bag. The bag comes in gray, olive, brown and foliage colors. What Best Vintage Backpacks Preserved in Fashion? Best Cosmetic Bags & Organizers – Keep All Your Beauty Gear Carefully. What is the Best Brand of Backpacks You Know?